New edition with all new, step-by-step photography. A classic beginner’s guide to fermenting just about anything. 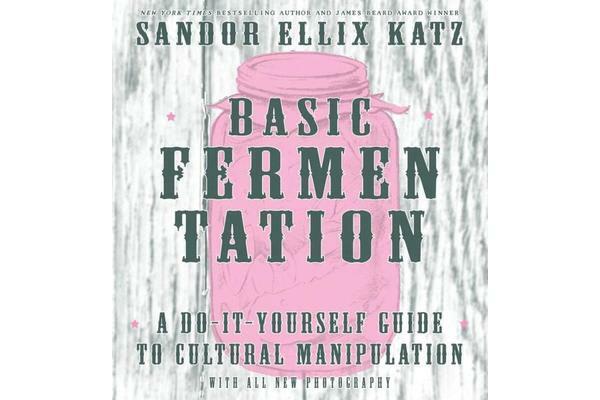 At last, a new edition of fermentation guru Sandor Katz’s first published work, including all new, step-by-step photography. A great introduction to fermenting foods at home, whether you’re looking to expand your kitchen repertoire into exciting new flavors or seeking to make affordable, natural, probiotic food to heal your guts and soothe your soul. 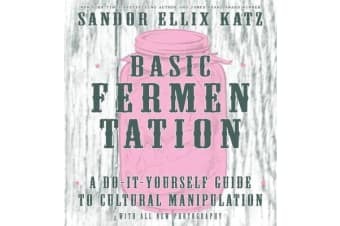 Includes clear, straightforward instructions to get you started making anything fermentable, from bread to cheese to yogurt to kimchi to miso to injera to honey wine. Who knew making tasty, healthy, interesting food could be so simple?